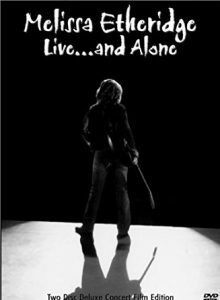 I never intended to write a four part series about my private songwriting lesson with legendary singer-songwriter-guitarist Melissa Etheridge, but here we are. I got so much out of my two hours with the rock icon last month that I’m still reflecting on it all. In fact, friends claim that I mention Melissa in some way or other every fifteen minutes. One more session with her and I’ll be writing an entire book about all I’ve learned. Anyway, in this episode I want to share what she taught me about singing, performing and becoming an overnight success. Before we go there, I have to share a funny moment I had with her. After Melissa showed me her book collection, guitar collection, and jigsaw puzzle she was working on, she walked me to a piano that her manager had given to her. She played a few notes and asked me if I played. And from there we went into her home studio. I told Melissa that one of the biggest fascinations for me was her singing. Her explosive performance sent out ripples through time, and are still hitting my nerve endings today. I want to sing like that, I thought. And I told Melissa so. Of course, she asked me to sing for her. It was actually easy to perform for her because she was entirely nonjudgmental. She was patient, present, and eager. But I was a nervous schoolboy compared to the powerhouse singing that Melissa does naturally. So I asked her for any tips she could give me. She told me about watching Ed Sullivan’s TV show and seeing house rockers, like Janice Joplin and Tom Jones. 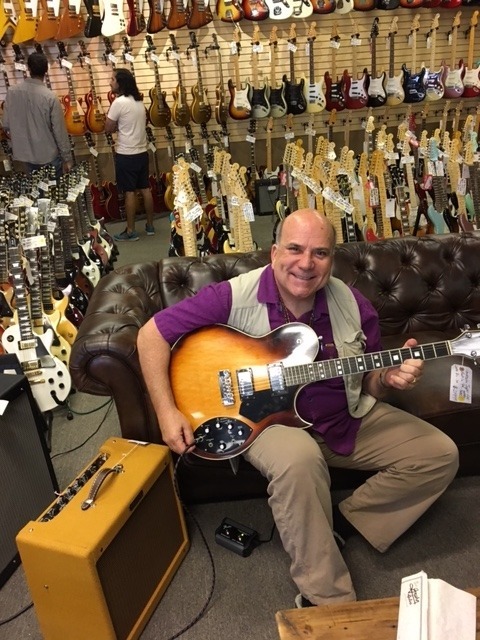 I went to Norm’s Rare Guitars in LA, suggested by Melissa, and got this cool late 70’s Gretsch Chet Atkins Super Axe with built-in phazer effects. She went on to talk about where the power of a stirring performer comes from. At this point Melissa pointed out that she heard a limiting belief in me. She said that I thought I was too old to perform music and rock the world. “There’s an infinite stream of energy that can become whatever we want,” she told me. “And it’s up to us and the story we tell inside. I started to understand that much of Melissa’s on stage power comes from a decision. She consciously intends to be electrifying. 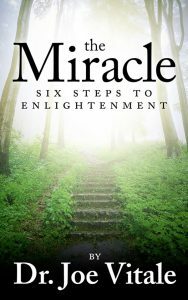 Melissa explained that we are all energy and we project a vibrational field. She went on to focus on the songs. Melissa then focused on my new song, the one we were working on together, and a line from it. “In sixth grade I wrote a song, a protest song,” she continued. 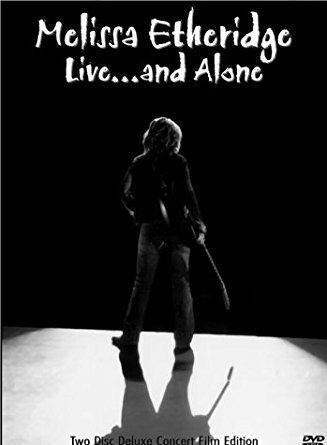 “And I sang that in a talent show that became a variety show around my hometown. We played at old folks’ homes, schools and prisons. And so I slowly started singing for people. 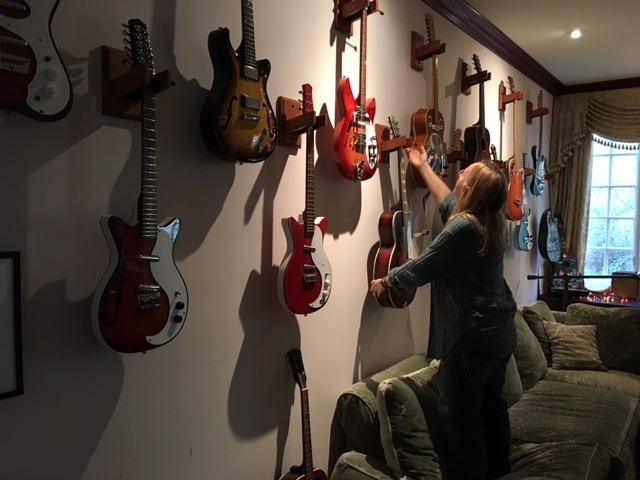 In Melissa’s guitar room in her home. She has more guitars than me. At this point Melissa is explaining her decades of singing experience, and singing snippets to me as she continues. You have to imagine my delight in being in her studio and witnessing this. “First I sang Tammy Wynette, Sometimes it’s hard to be a woman, and then Stand by your man. I learned to sing from your gut; to when you start with the energy, when you get up, I’m singing from here, and then I would sing the guy’s songs. “I would sing Roberta Flack. I remember the first time, ever I saw your face is the song, but it was the first time that I sang a song in my band, where usually people are dancing and talking and they’re not paying any attention to the band, we’re just there for their pleasure, that actually people would stop, look at me and then applaud. “And then I realized that oh, a song grows. I’m telling a story. And I would captivate, I would see people paying attention and want to take that energy and keep it. So I had years and years and years and years and more years of singing in front of people. 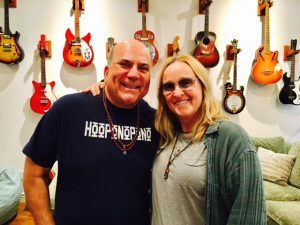 The legend: Melissa Etheridge. And, oh yea, me. I’m still smiling. Years, and years, and years, and years and more years. I was in awe of all the lifetime experience it took Melissa to get noticed, get a deal, and explode on the scene. As with virtually every “overnight success” (including my own, as an author), it actually didn’t happen overnight. Once again, I could continue with all I learned from this loving legend of rock. But right now I have a new album to record. I’m dedicating my new album to Melissa. 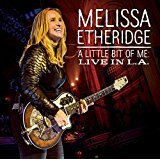 There may even be a song on it called “Melissa Said,” which will be a tribute to her. I’m currently drafting it using, of course, everything I’ve learned from her. I am forever grateful to her, and want her to know it. I’m obviously still on fire from sitting with Melissa, so somebody bring me some water! 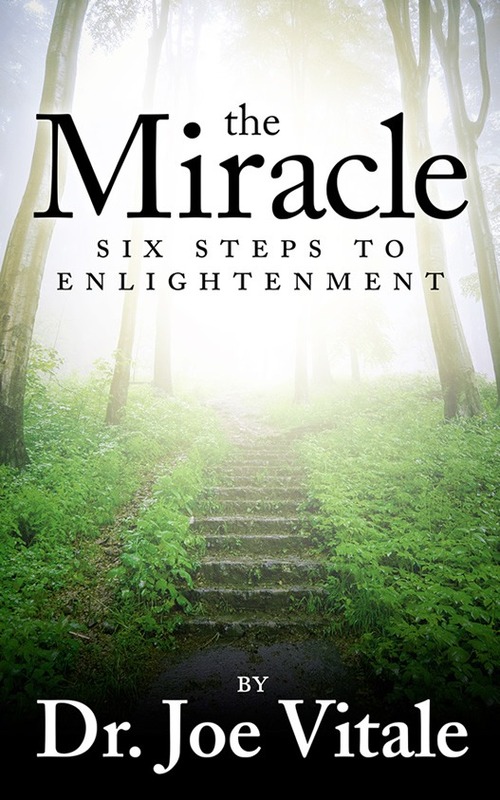 My latest book hit the bestseller lists. Melissa has one of the very first copies. Joe, this is Very inspiring, thank you so much for sharing such an amazing experience.